Shortridge Magnet High School Gymnasium Addition « Davis & Associates, Inc.
Shortridge High Sc hool opened in 1864, and is the oldest public high school in the State of Indiana. In 2013, a new 26,500 sf gymnasium addition was constructed. 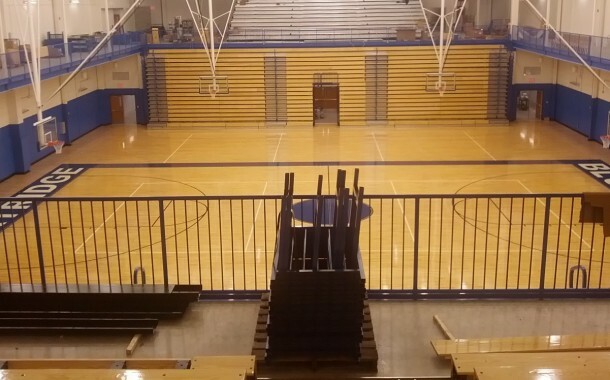 The new gymnasium included precast wall panels with brick veneer, a connecting overhead walkway, an elevator, athletic wood flooring, two level retractable wood bleachers, coach offices, locker / shower rooms, training room, restrooms, ticket and concession areas.